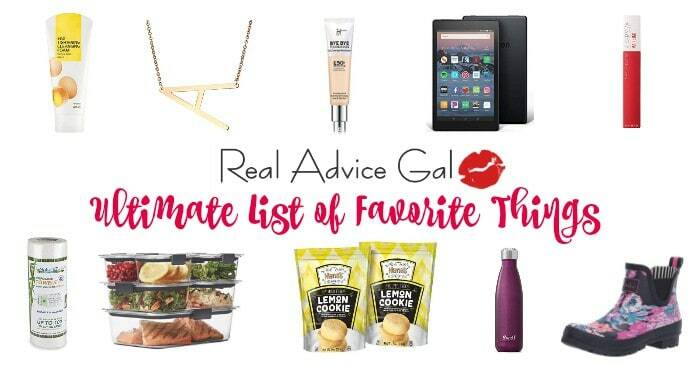 My pastime favorite meal would easily be ham loaf! We would go every single year to Ohio to see my grandparents for Thanksgiving. The tradition was to go hunting for golf balls because they lived off of a golf course, come in for some Ham Loaf then on after Thanksgiving go Black Friday shopping. That was when you would shop on Friday! 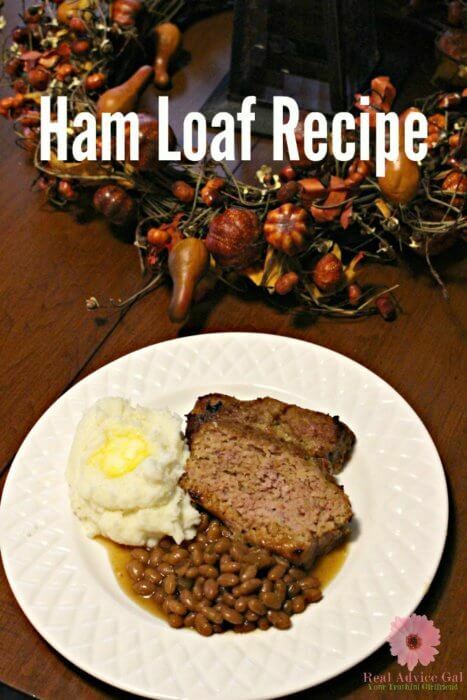 It wouldn’t be Thanksgiving without Ham Loaf though. 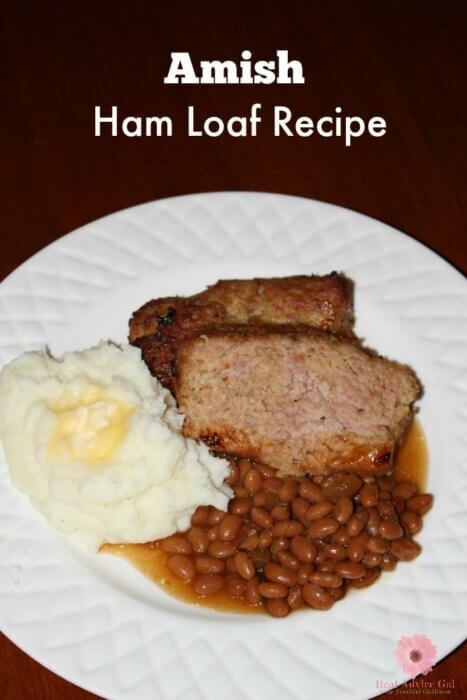 This recipe is the true Amish Ham Loaf Recipe! The recipe is simple and oh so delicious. It is a combination of Smoked Ground Ham and Ground Pork. You can order from your butcher. Mix all the ingredients and bake. You can serve your Ham Loaf with mashed potatoes, baked beans and we love to dip the Ham Loaf in mustard…but we are dippers! Mix well and place on a loaf pan. I used this. Bake on 350 for 1 hour and 15 minutes uncovered! Then you will be all set to go! I hope you love and enjoy this recipe as much as I do! I cherish this recipe as my grandmother has passed away. I miss the smell of her home. When you walked into her house, I knew exactly what I had to look forward to! They grew up in the depression, so her house was filled with everything and anything just in case! You would never know what you would find, but one thing was always certain, That Amazing Ham Loaf! I make it a few times a year for my family, and I am going to keep passing down the recipe to my kids and grandkids! 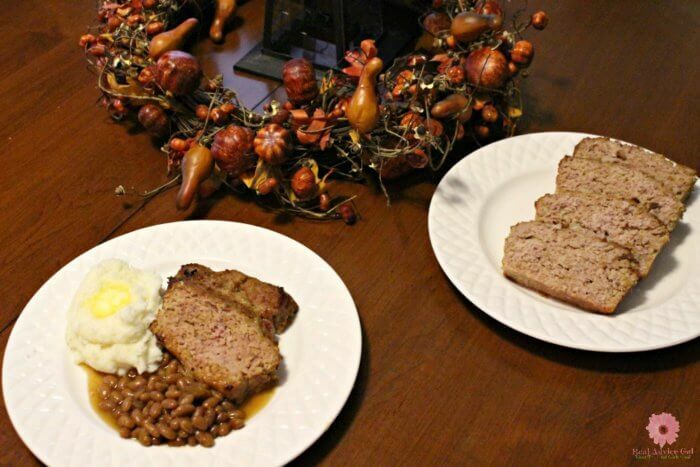 This easy Amish ham loaf recipe is perfect for your holiday dinner. Mix well and Bake on 350 for 1 hour and 15 minutes uncovered!